Voices In The Net - 3 Tier Dream On! The bootleg CD 3 Tier Dream On! 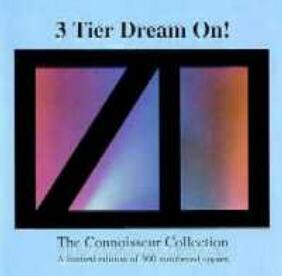 completed the 3-CD set 3 Tier Dream from 1993, featuring the second part of the 1986 Paris concert. As a bonus track, a pre-release studio version of The Cliffs Of Sydney (Sydney) was featured, that was quite different from the final version as officially released on Le Parc. The live material of this bootleg became obsolete due to the release of Tangerine Tree Volume 69: Paris 1986.